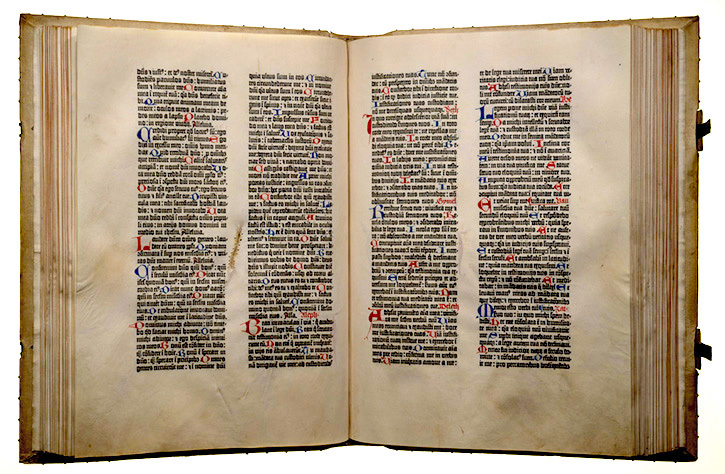 550 Years of the Gutenberg Bible - A lecture by Paul Needham, Scheide Librarian, Princeton University Libraries. Paul Needham is Librarian of the Scheide Collection at Princeton, and was formerly at the Morgan Library and Sotheby’s. He is a leading authority on the Gutenberg Bible and the development of printing in Europe. His talk will offer an overview of the earliest years of printing during the fifteenth century, focusing on many aspects of the Gutenberg Bible.